Since “The brilliant Endymion” (The Sunday Times) was formed in 1979 from a group of outstanding National Youth Orchestra students, it has built a secure reputation across a broad and often adventurous repertoire and won a strong following among audiences throughout the UK and abroad, touring in Ireland, Italy, Spain, Finland and Mexico. For several years Endymion was in residence at Blackheath Concert Halls in South London, and has been called one of the few chamber groups as much at home with Mozart as with Birtwistle. Endymion has made a speciality of twentieth-century music theatre and small-scale opera, including collaborations with the Royal Opera House’s Garden Venture, Women’s Playhouse Trust and Opera Factory, with which it undertook an extensive European tour of Dido and Aeneas and Curlew River during 1995. Endymion has appeared at most of the major British festivals and performed three times at the Proms. Recent appearances at the Southbank Centre, Kings Place and at the Cheltenham and Spitalfields Festivals have included works by Kurtag, Simon Holt and Simon Bainbridge, a new work by Michael Zev Gordon, an Elisabeth Lutyens portrait concert and premieres of works by Raymond Yiu, Simon Wills and Brian Elias. A retrospective of Anthony Gilbert’s music featured a dozen specially composed musical tributes by distinguished contemporaries, including Birtwistle, Maxwell Davies, Alexander Goehr, Colin Matthews and Anthony Payne. Endymion’s collaborations with the BBC Singers have included world premieres of Giles Swayne’s Havoc (Proms, 1999) and Edward Cowie’s Gaia (2003), as well as the UK premiere of Birtwistle’s Ring Dance of the Nazarene at the 2004 Proms (“startling virtuosity from all concerned” – Daily Telegraph). A particularly successful (and much imitated) innovation is the wide-ranging series of Composer Choice concerts staged by Endymion on the Southbank, in which composers select and introduce work by themselves and others. Participants have included Harrison Birtwistle, Peter Maxwell Davies, Oliver Knussen, Gavin Bryars, Mark-Anthony Turnage, Judith Weir, John Woolrich and Michael Berkeley. Unusually for chamber groups so well established, Endymion retains most of its original players. These performers now number among the best soloists and chamber musicians in Europe. 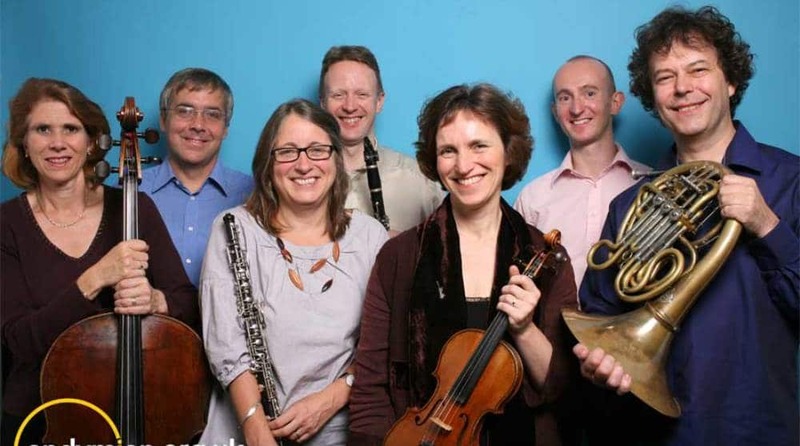 In June 2009, Endymion celebrated its 30th Birthday at Kings Place with the Sound Census festival, which was not only a reason to promote the ensemble, but a genuine opportunity for Endymion’s wonderful musicians to unite and celebrate 30 years of performing together. Alongside a celebration of chamber music repertoire including Brahms, Mendelssohn, Messiaen and Feldman, 20 British composers were commissioned to write new works for Endymion, and these were recorded for release by NMC Recordings. This disc will join a host of other recordings by Endymion including works by Lutyens, Stravinsky, Britten and Magnus Lindberg and (with the Dutton label) York Bowen, Edmund Rubbra, Thomas Dunhill, Lennox Berkeley, Erno Dohnányi and Zdenek Fibich. Education occupies a central place in Endymion’s activities. In 2009 it ran the Sound Census workshops with secondary and primary school children in central London, and during 2003–04 it organised a one-day festival “The Rising Generation”, featuring music by 30 young composers. For five years Endymion were a central part of the BBC Proms Guardian Young Composer of the Year competition. Endymion is grateful for the generous support of The Radcliffe Trust, the Marina Kleinwort Charitable Trust, The Esmée Fairbairn Foundation, The Batty Trust, The PRS Foundation, The Golsoncott Foundation, The Worshipful Company of Mercers, the Golden Bottle Trust and our Friends.